Do you like my new tea towel? It came in today's mail. I love it. I bought it from this cute etsy store that sells lots of gorgeous Jane Austen inspired goods. Did you know Pip is reading Pride and Prejudice for book club? I better sign up. I don't think you can ever have enough Jane Austen in your life. Liking that tea towel very much! Looks like we now have a good excuse to read Pride and Prejudice (again). love it, I'm tempted to get Rob the "I am Mr Darcy" t-shirt! I know someone who would like that tea towel even more than I do. Thank you for the link. I am off to have a look now. I LOVE this. I am a huge Austen fan, I have just finished Emma but it just didn't compare to P&P. Yes, I do like the tea towel...great. I have only just found your blog, thanks to April's Australian Country Style (I have been overseas for the past 6 weeks and I am catching up on my stacked up magazines). Lovely article on you and your family, and home. It is our chair your dog is sitting upon! I am from The Drill Hall Emporium, New Norfolk. I will follow your blog as I love local ones, especially! 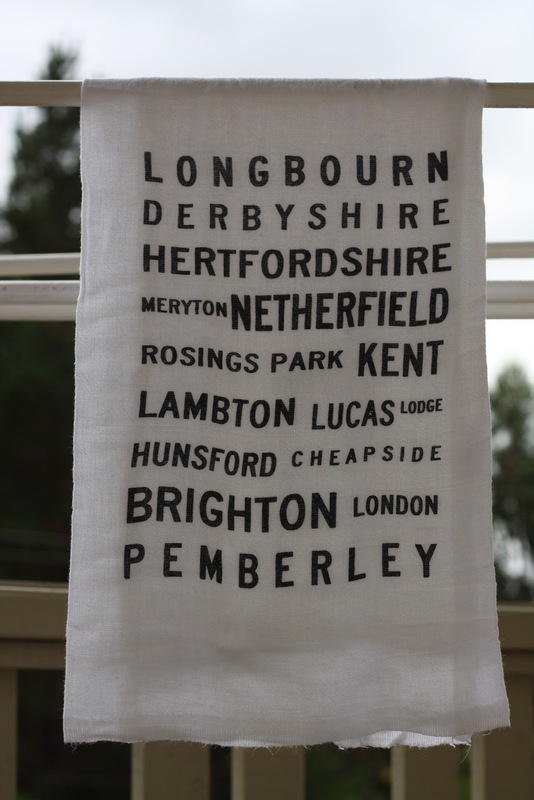 Lovely tea towel. Lovely to find your blog too. My favourite Austen novel is Persuasion. I love watching the movie verison done about 10 years ago rather than the newer one, also. Oh, I LOVE it! I love Jane Austen and that whole shop is super sweet - thank you for sharing! Love the Tea Towel, for something a little bit Bollywood I can recommend Bride and Prejudice as a great video to enjoy. Its a funny take on the novel.Glad to see you are in Tassie too! to true, you can never have too much Austen. Love the tea towel and how good is etsy for unique & quirky finds! !